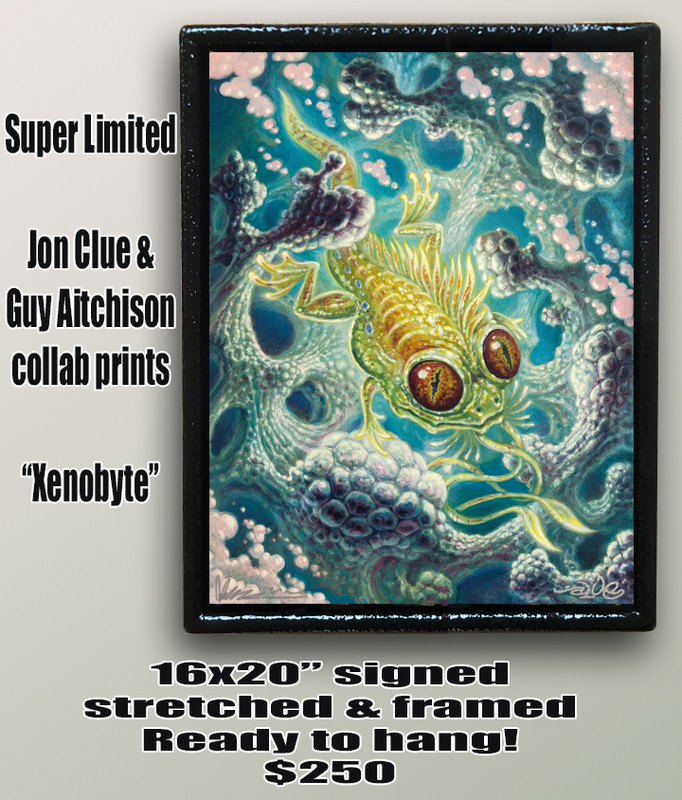 Jon Clue and Guy Aitchison have been collaborating in various media for close to 25 years, and in the past year they have released special edition prints of some of their paintings. This week we are offering a new reproduction of a classic painting of theirs, Xenobyte, featuring an aquatic life form from the alien world that they’ve depicted in other pieces. The print is 16x20” plus a 1” colored border for mounting purposes on archival canvas, signed by both artists. We are also offering a limited framed edition, mounted in a lightweight fingerprint-resistant wooden frame, ready to hang in your art collection or workstation. You can find them at Hyperspacestudios.com/prints. Available until March 29 and then we will be removed from the catalog.